Robust, accurate, versatile and economical. Extremely accurate with head sliding by means of linear ball bearings on two chrome-plated and ground bars. Cutting control through belt drive of the head driven by an electronically-controlled gear motor. It is equipped with a submersed pump inside the base for disc cooling water circulation. 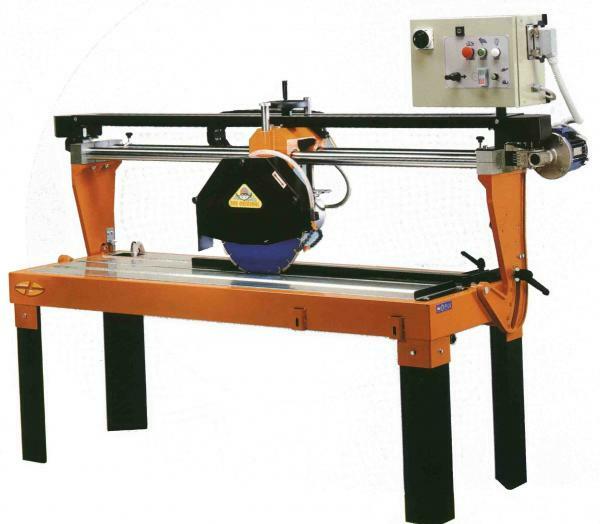 Vertical motion of the head by means of hand wheel for stable and fast control. Inclinable head for 45° cuts.